Wandering on Google+ came to a brief sensitive reading of George Oppen by Anil Bawa-Cavia, of whom I haven’t heard, relayed by Miggy Angel, of whom ditto. 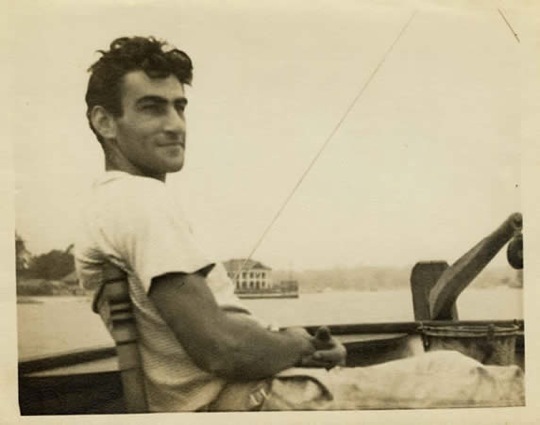 George Oppen was a poet of matter. Of stuff itself. Dealing in the opacity of things, the impenetrability of materials, the tangible complexity of the world. Omission as an expression of the unresolved. The conflicts to be admitted in objects. — and completes here. There’s Heidegger in there, and Merleau-Ponty, but worn lightly, thankfully. What if thing were not a dirty word. What if matter were, as its etymology implies, mother of us all. Which, duh, it is, but what if we took that to heart. You know it? Do tell! Shoot, if only there were some sort of, I don’t know, institution somewhere, where you could pursue those interests in a semi-formal yet still freewheeling sort of way, encouraged and challenged by likeminded peers and teachers, wouldn’t that be great? I bet that would be great for you, and you for it, don’t you think? Okay gotta go water the cat. Just took a v. quick look at urbagram but looks AWESOME. If you burn through it check out Deleuze and Guattari’s “rhizome” and let it burn through you. Leaves some heat behind but. Yes, if only. I should pull out the yellow pages book and call till I find one. No, really, I found it. Will do. The reading, etc.